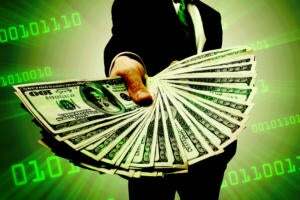 How much money do people make at their job? That's a piece of information that everyone wants to know about everybody else—and isn't eager to share themselves. 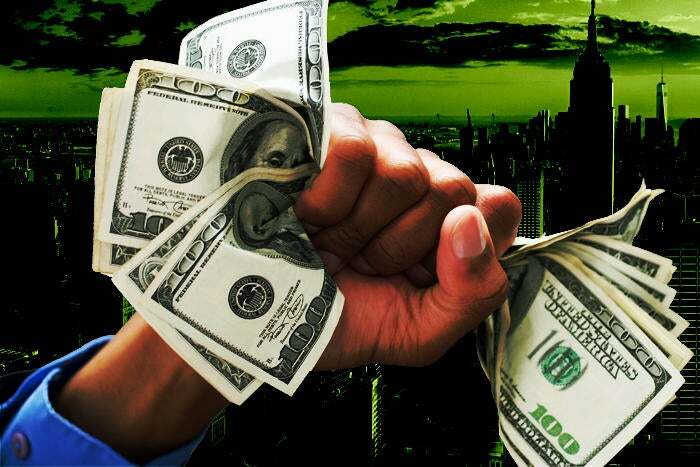 But when it comes to execs at big companies, we have a window: publicly traded corporations are required by law to disclose the compensation paid to their top execs. 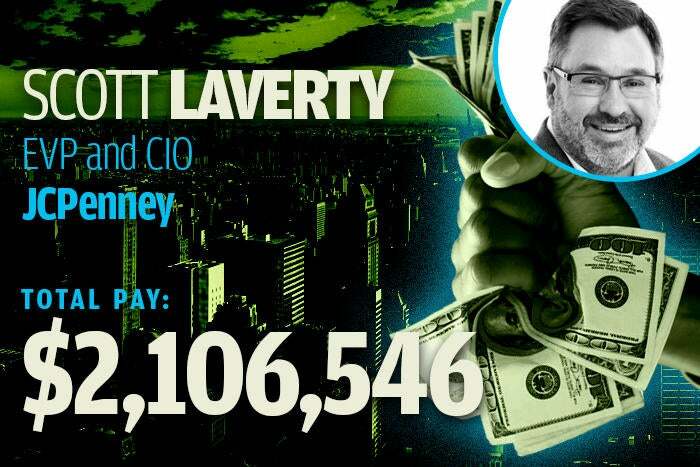 And we scoured the proxy statements of the 500 largest U.S. companies to find 25 that disclosed CIO pay. Here are the details on the latest pay packages for which there's information, mostly from 2016, organized from lowest to highest paid. 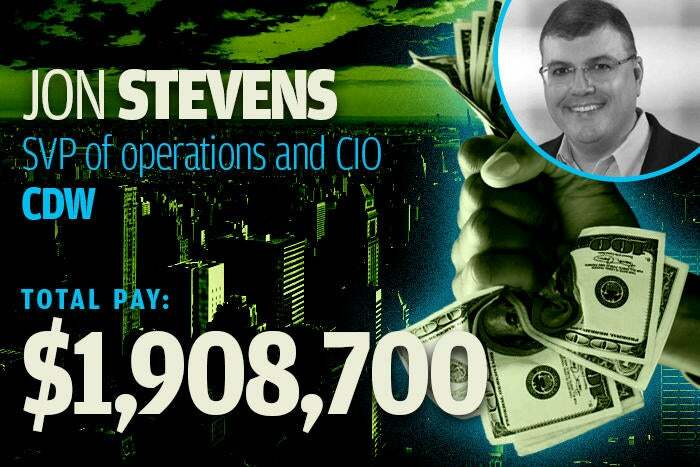 Like many execs on this list, Stevens wears multiple hats, responsible not just for IT at CDW but for the company's distribution centers, transportation facilities and customer relations as well. He's been in his current role since 2009 and at the company since 2001. This is his second year in a row on the list, and his compensation saw a slight bump from last year. After cutting his teeth consulting with Deloitte and IBM, Scott Laverty got into the retail business as CIO of Borders Books and Head of Retail for HCL AXON. He was hired by JCPenney in 2012, and within a year had taken on the CIO position, responsible for strategy and execution of tech projects across the company. But JCPenney was on hard times, and by the end of 2015 Laverty left the company. "We are unable to provide details of Scott’s departure," his employers said cryptically, but two years later they're still sending him enough deferred compensation for him to make it onto this list. Meanwhile, he's serving as EVP and CIO of Shane Company Jewelry. 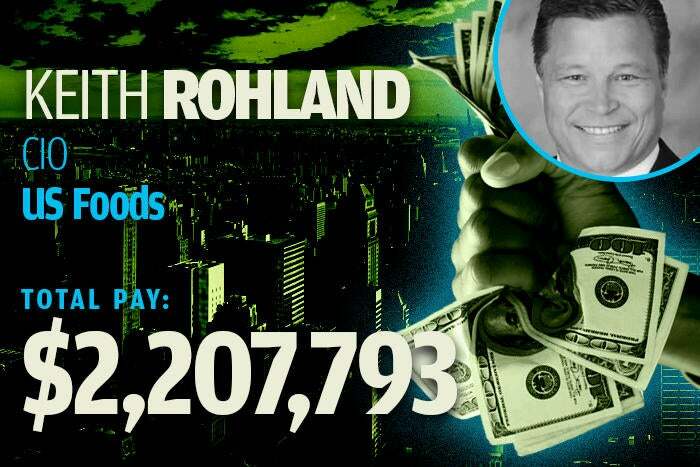 Keith Rohland made a jump from finance to food when he moved to his current company from Citigroup in 2011. As CIO, he's in charge of all IT functions, including strategy, systems development and infrastructure. This is the second year in a row he's been on our list, and a boost in his bonus means a better showing overall. 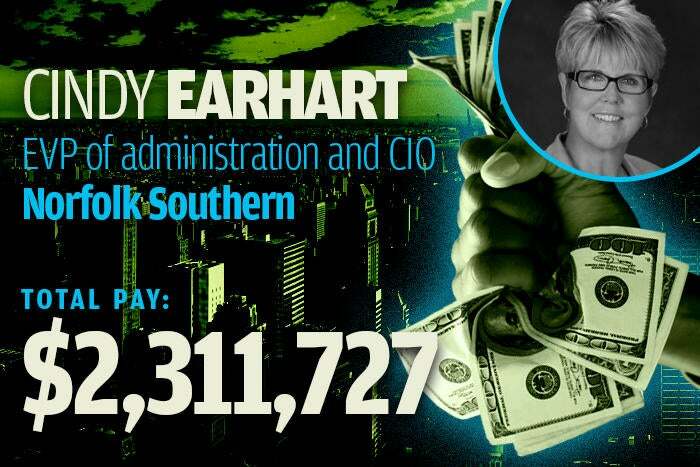 Cindy Earhart's career at Norfolk Southern has spanned more than 30 years, and has straddled a number of silos: she's been in accounting and IT positions, and was VP of HR and Executive VP of Administration. 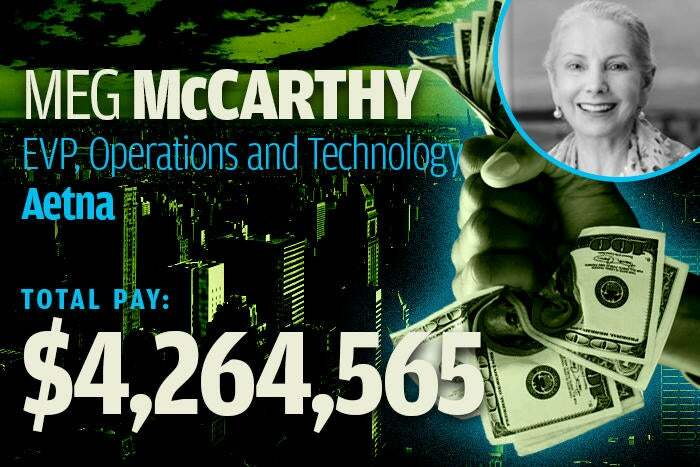 In 2015 she took on the role of CIO—ironically being outpaid by her predecessor Deborah Butler, whose deferred compensation put her at number 11 on our list. But 2017 saw another kind of jump: she went back to her accounting roots and took a job as the company's CFO. Anil Cheriyan has been in IT most of his career, working with systems, customer information, data warehousing and e-business engagements at PwC and helping financial services sector clients with business systems transformation, technology and process re-engineering initiatives at IBM Global Business Services. 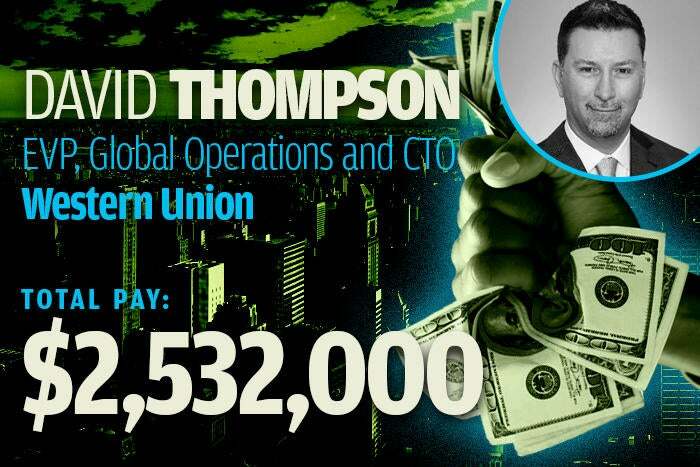 In 2012 he became SunTrust's CIO, where he worked to unify a siloed technology department. He retired in February of 2018. After a stint in Air Force intelligence, David Thompson ended up in IT management in a number of Silicon Valley heavy hitters: he was SVP and CIO at PeopleSoft, where he oversaw a transition to the company using its own applications internally. By the mid '00s he had moved to become CIO at Oracle, then spent a spell in the same role at Symantec before joining Western Union in 2012. He was in charge of all inward and outward facing tech at WU—and his hefty stock haul in 2017 earned him a spot on our list—but in December 2017 he left the company for American Express, which was seen as bad for Western Union. ManpowerGroup is a worldwide staffing agency, and Ram Chandrashekar oversees its IT functions from Singapore, where he also serves as President of the company's Asia Pacific Middle East region. After getting master’s degrees in both India and the U.S., Chandrashekar worked as COO for the Sterling Infotech Group of companies. He joined Manpower in 2008 and in 2012 was put in charge of IT, with the goal of improving operational performance with a metric-oriented framework. 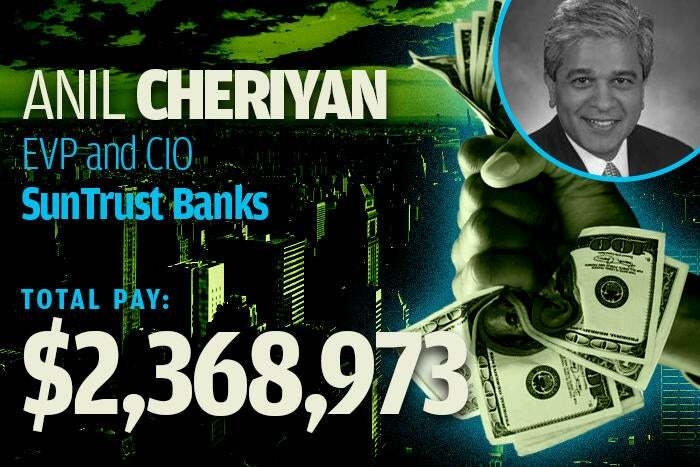 He began his current role in 2014, aiming to drive operational excellence for Manpower IT worldwide Chandrashekar's compensation is somewhat inflated by special payments he received to compensate for taxes he owed on income earned while living in the U.S. in previous years. Dave Barnes is a true UPS company man, starting off in 1977 as a package loader and using his wide knowledge of what the company does—ranging from operations, to industrial engineering, to finance, to information technology—to rise through the ranks as UPS went worldwide in the '80s and '90s. 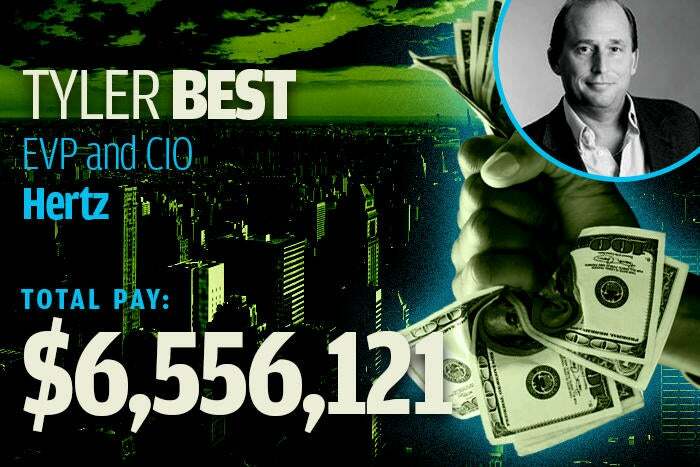 He became company CIO in 2005, and even though he left in 2016, his sizable deferred compensation, mostly in the form of stock and options, still places him among the highest-paid tech execs in the country. 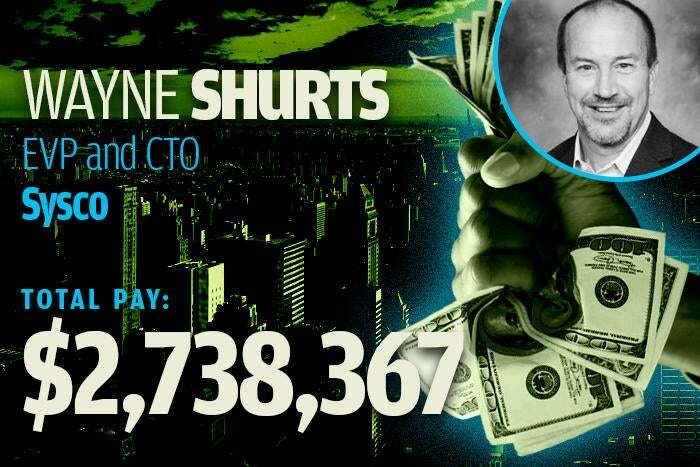 Wayne Shurts has a CTO title but his role at Sysco involves a lot of inward-facing tasks you'd associate with a CIO; for instance, he's worked to roll out AWS to support the DevOps team. He came to Sysco in 2012 after serving as CIO at Supervalu and Cadbury Schwepps. While he's moved down this list a bit since last year, a sizeable stock grant kept him in the top 25. 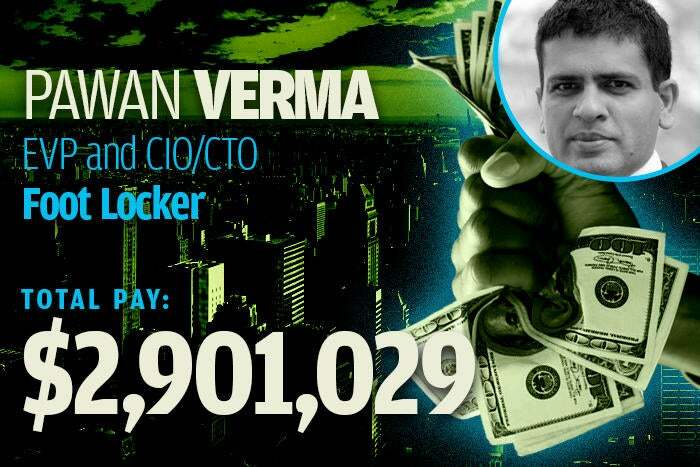 Pawan Verma's career has been focused on retail and ecommerce: after stints at Convergys and Verizon Wireless, he spent two years as VP of Digital Technology and API Platforms at Target, where his bailiwick ranged from marketing tech to the company's online store. At Foot Locker, he's responsible for both outward and inward facing tech, ranging from CRM and supply chain to channel customer experience. A healthy stock grant boosted him onto our list for the first time. 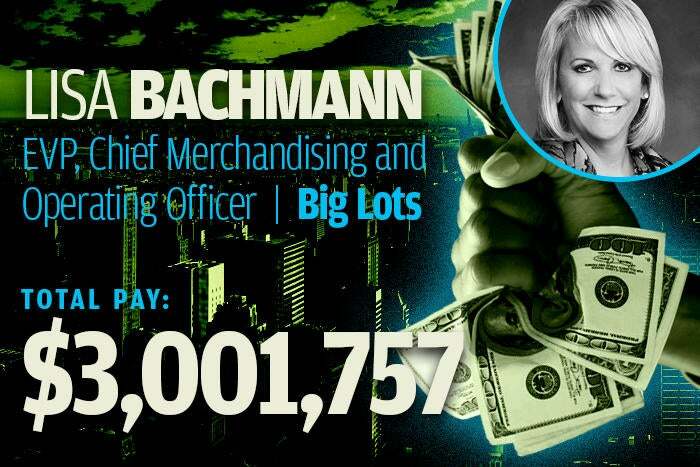 Lisa Bachmann's grab-bag title includes tech under its umbrella: she's in charge of corporate infrastructure and operational management, among other areas. She's been at Big Lots in one role or another since 2002, and served for 10 years in a more conventional CIO role starting in 2005. Before joining Big Lots, her background was in planning at various department store brands. Martha Poulter worked her way up through the IT department at GE over two decades, starting out as a systems analyst before eventually becoming CIO and VP in 2010. She then made the jump to the Starwood Hotels chain, where she had to coordinate technology over a large portfolio of hotel brands. 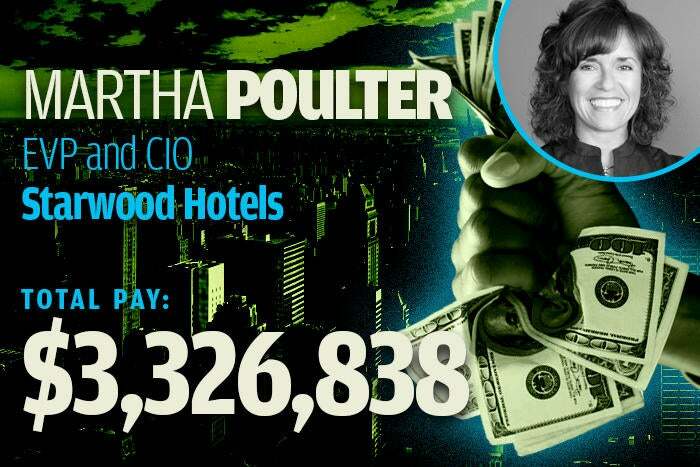 Poulter's stay at Starwood was relatively brief—in January of 2018 she jumped ship (pun intended) to become CIO at Royal Caribbean Cruises—but was lucrative, as her place on our list attests. 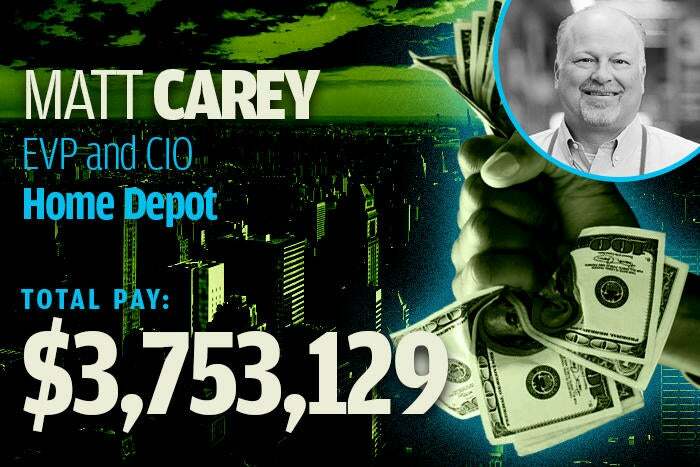 Matt Carey has worked at Home Depot for nearly a decade and oversees all aspects of IT infrastructure and software development for its sprawling network of stores and distribution centers, as well as the corporate website and supply chain. This is the third year in a row Carey's been on our list; his compensation hasn't changed much but the fact that his contemporaries are making more moves him down the ranking. Robert Carter has been with FedEx since 1993, and he sets the technology direction of the shipping giant's applications, networks and data centers. He's not as far up the list as he was last year, but his sizable performance bonus kept him in the mix. 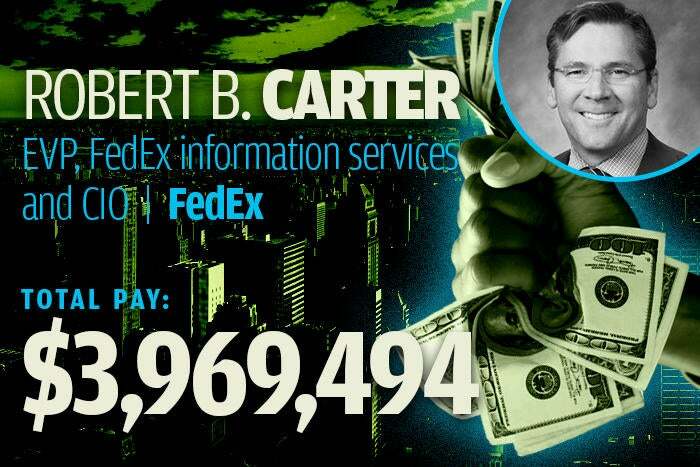 Carter's compensation was also padded by various perks, including use of a private jet and security services. Deborah Butler has a background in a number of disciplines that she exercised in nearly 40 years at Norfolk Southern, ranging from operations to regulatory environment to strategic planning. 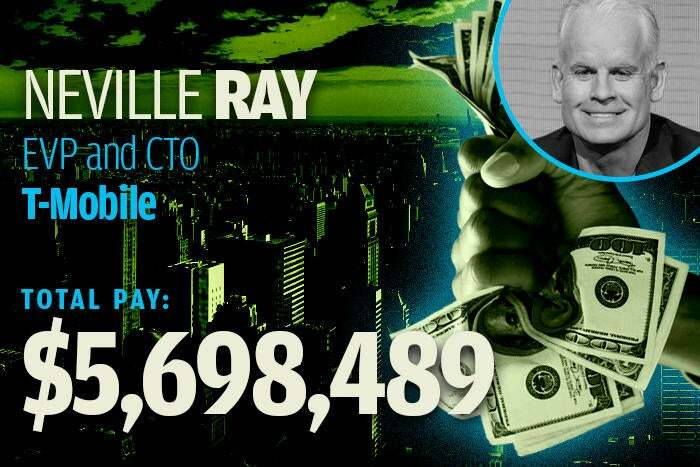 She reached the EVP level in 2007, but like several other entrants in this list, she manages to be one of the top paid tech executives despite having retired several years ago. 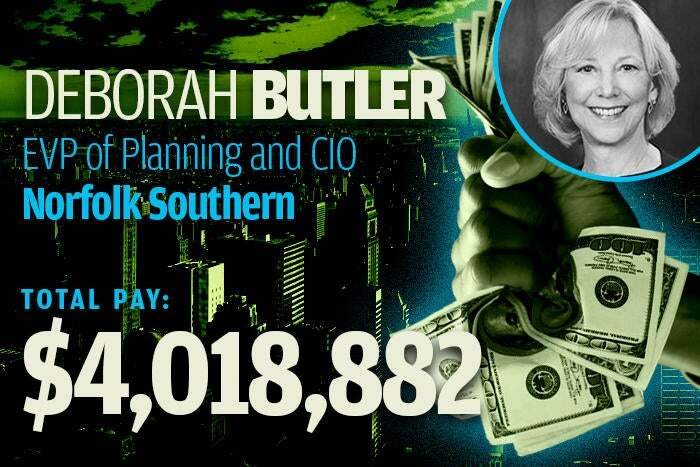 She left Norfolk Southern in 2015, but still receives deferred compensation of various sorts; most of it takes the form of retirement benefits, which are generous enough to put her at number 11 on our list. Meg McCarthy has an interesting background for a tech exec: a master's in public health and a rank of lieutenant commander in the U.S. Navy Reserve. Since her Navy service was in the Medical Services Corps, it makes sense that much of her career has been in the health care and health insurance industry: she was CIO at Catholic Health Initiatives and Franciscan Health System and SVP of IT at CIGNA before joining Aetna in 2003. In her current role, she's in charge not just of IT but also global security, travel, and real estate services. Chris Hjelm had his first CIO job at Cedant's Travel Distribution Services, but since 2005 has been with the Kroger supermarket chain, and now is responsible for managing the company's IT operations from sites ranging from retail stores to manufacturing plants to offices and R&D facilities. 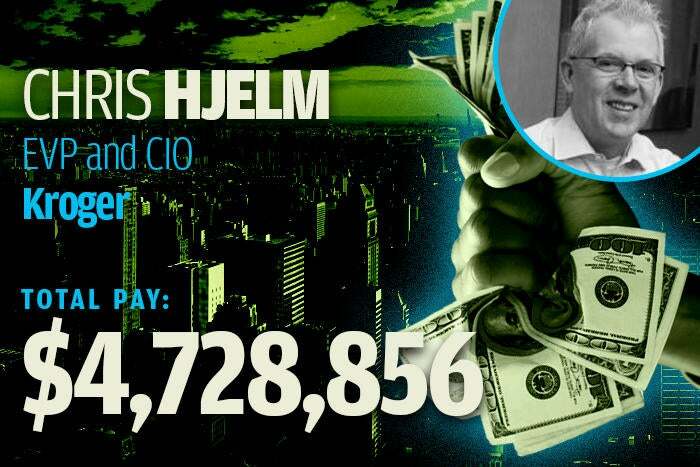 Hjelm in on our list for the second year in a row, and a sizable bonus sends him further towards the top. 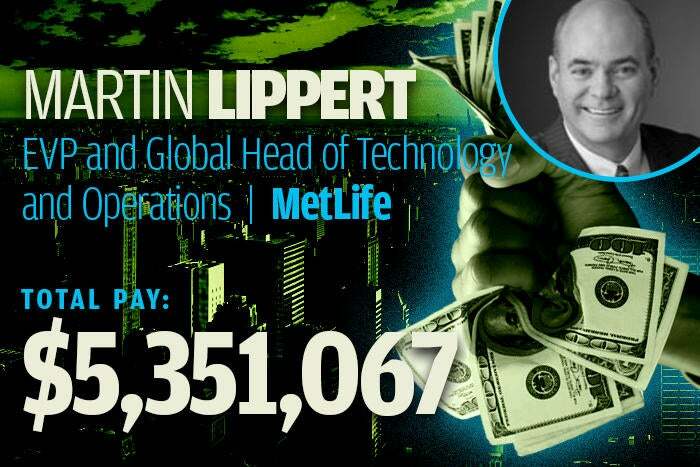 Martin Lippert is a longtime tech exec in the financial services industry, with stints at Freddie Mac, Mellon Bank, Royal Bank of Canada, and Citigroup before his current job at MetLife. At RBC, he helped launch one of the first internet-based cash management services. At MetLife, his role spans both customer-facing tech and internal operations and security, and he's in charge of planning digital strategy as well. A healthy bonus put him high on our list for this year. Ray has worked as for the better part of two decades as an executive in the wireless telephony industry, starting as network vice president at Pacific Bell Mobile Services (one of the ancestors of AT&T Mobility) in 1996 before jumping ship to VoiceStream (which later became T-Mobile) in 2000. He took on the CTO role at T-Mobile in 2010, and has helped transform its wireless network quality from an embarrassment to a selling point. Bushman is something of a rare bird on this list: a career-long employee of the company that made her a top-paid IT exec. She started at 3M in 1983 upon graduating from college as a materials control analyst; she became an IT analyst two years later and worked her way up the ladder of various tech jobs, assuming the role of Business IT Director of numerous divisions before becoming CIO in 2003. 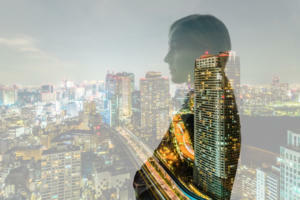 After bouncing among more general top-level divisions, she assumed the more exalted title of SVP of Business Transformation and IT in 2013, which is the job that earned her the well-compensated place on this list. She assumed the job of EVP of International Operations later in 2017. 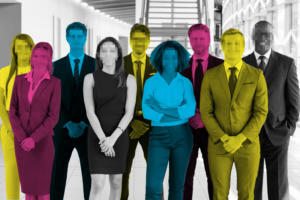 Tyler Best knows cars and IT: he's held senior IT roles at Vanguard Car Rental, Budget Rent-a-Car, and Ally Financial, which used to be GM's lending arm. 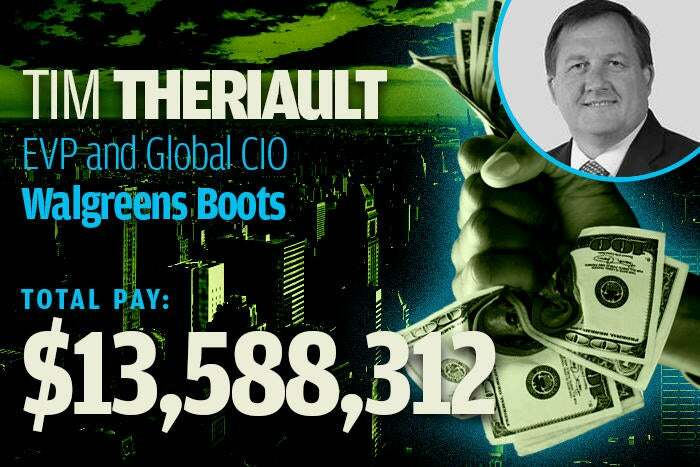 He took the CIO job at Hertz in early 2015, overseeing the company's global IT functions. 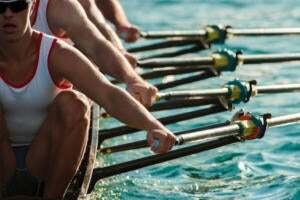 After dropping lower on our list for 2015, a big bonus and hefty stock awards put him back up close to the top this year, but he left the company in April 2018; he's now advising firms in various industries on turnaround initiatives. 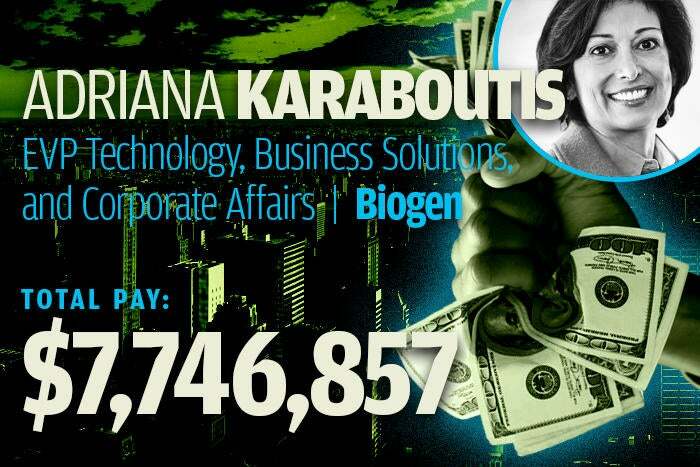 Adriana Karaboutis cut her teeth at GM, where she worked for more than 20 years on projects related to computer-integrated manufacturing and supply chain operations, eventually moving to a service-oriented architecture. After a stint as a CIO at Dell, she moved to Biogen in 2014, where her task was to address "the mismatch between the structure of the company’s existing technology organization and the business goals" of the CEO. 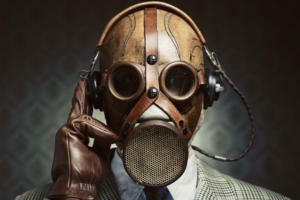 While her work at Biogen in 2017 qualified her for this list, she in left in May of that year to take up a new job at National Grid, overseeing their use of AI and IoT devices. 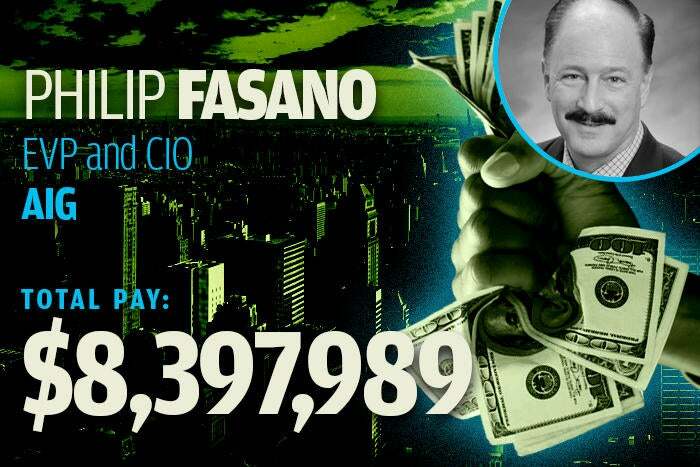 Philip Fasano worked in the IT departments for a number of financial services companies over his career, including Capital One Financial, JP Morgan Chase, and Deutsche Financial Services, before moving to the HMO Kaiser Permanente to take on the EVP and CIO role. 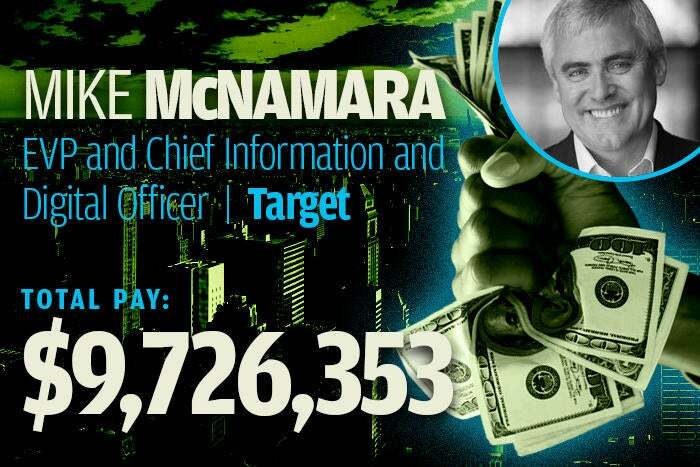 In 2014, he jumped ship to AIG to take on the same title in a role that was newly created within that company. Although he makes the cutoff for our list because he worked at AIG in 2017 — and netted hefty compensation, much of it in the form of a bonus — he actually left the company in March of that year, possibly as part of the sweep of the executive ranks that soon afterward saw the CEO ousted as well. Fasano is currently the CEO of Bay Advisors, LLC. Mike McNamara began his tech career at British retailer Tesco in the late '90s, helping roll out its website and overseeing its IT and supply chain businesses, then expanding the company's operating model outside the UK. In 2015 he jumped ship to join the executive team at Target, and currently has umbrella authority over most of that company's tech initiatives, from developing long-term tech roadmaps to overseeing the company's website and the in-store technology. Tim Theriault spent more than a decade climbing the ladder at Northern Trust Corporation, from CTO to President of Corporate and Institutional Services, before jumping ship to head up technology at Walgreens and its post-merger iteration, Walgreens Boots. And he's managed to pull off a special feat: topping our list of high-paid tech execs for a job he left more than three years ago. 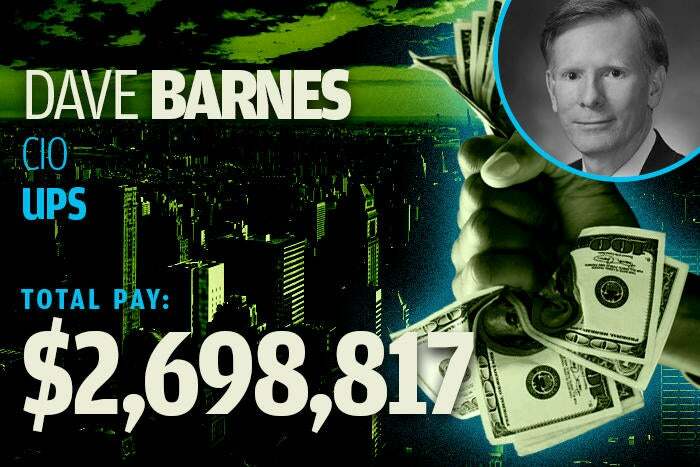 He netted more than $13 million, mostly from various forms of deferred compensation, though he also provided some consulting services to the company as recently as 2017. Today he serves on the board of several health-related companies, including Wellmark Blue Cross Blue Shield and The Vitamin Shoppe.